Every entrepreneur starts his or her company with a desire to build the perfect business. Operations will be fluid. The bottom line will consistently be in the black. Each employee will join the company as a master of his or her craft fully prepared to handle the day-to-day responsibilities of the job. Unfortunately, this utopian business structure does not exist – especially in the field of workers’ compensation. The Maine Employers’ Mutual Insurance Co. – now The MEMIC Group – started in 1993. From the inception, our mission was to tackle the state’s most challenging workers’ comp scenarios. At that time, Maine had the worst workers’ comp issues in the country with a jarring number of workplace accidents occurring on a yearly basis and the highest workers’ comp rates in the country. The need for experienced workers’ comp professionals was obvious, but few of these skilled professionals could be found in the state. Considering not many go to college with the idea of getting into workers’ comp and the state’s abysmal record, the dearth of talent wasn’t surprising. It’s a unique field, but a cornerstone of the property and casualty market. We quickly realized the best method for finding MEMIC employees was choosing candidates with a basic knowledge of the industry who were most adaptable to a fast-paced learning environment. It was an unconventional approach. MEMIC quickly hired employees who, though capable, lacked specific expertise. They were, however, eager to learn and hungry for knowledge. This hiring process was the only way MEMIC could survive. Developing an educated and well-trained workforce is essential to the success of any company, but this was an extreme case. MEMIC achieved its ultimate success by making the most of what we had – talented workers willing to learn on the job. In-house training programs taught by both myself and our employees with experience in workers’ comp were provided to every new employee who joined the company. For the first three months MEMIC was open for business, work would be completed by third-party administrators. It wasn’t until month four that we began pulling work back from third-party administrators to in-house staff. Considering adequate training requires a minimum of six to 12 months, the first year for MEMIC was comprised of a fairly green workforce. Our glory days were yet to come. Continuous education was our best path forward. In our next step, MEMIC began offering a formalized education reimbursement program, encouraging employees to go back to college to take courses that aligned with their job responsibilities and aspirations. The Chartered Property Casualty Underwriter Program (CPCU) also helped, giving life to the educational pursuits of many of our employees. I even taught some semesters myself for both MEMIC employees and those of other companies. These options were undoubtedly crucial to the growth of MEMIC, but only temporary solutions to a greater problem. Without a quality program to educate, train and certify workers’ comp experts, there would always be a deficit in talent in the industry beyond MEMIC. In 2006, I began to recognize the growth and development of the American Society of Workers Comp Professionals (AMCOMP), an organization dedicated to strictly serving the needs of individuals working in the field of workers’ comp. The mission of AMCOMP is simple and focused: To raise the bar for professionalism and educational excellence in the field of workers’ compensation. AMCOMP does this primarily through its certified Workers’ Compensation Professional (WCP®) program. The certification was created by AMCOMP Founder and Chairman Emeritus, Donald T. DeCarlo, Esq., WCP®, and Roger Thompson, WCP®, a consultant to AMCOMP and former Traveler’s executive—along with significant contributions from the AMCOMP Board of Directors. I quickly realized AMCOMP would be our permanent solution to conquer the lack of expertise in the industry and the best way to establish universal industry training for certified workers’ comp professionals. We simply had to purse the opportunity. John T. Leonard, President Emeritus of MEMIC, recently retired from the MEMIC Group where he served as President and CEO since 1993. During that time, the company grew from a start up to an organization that is now firmly established as one of the premier Workers’ Compensation specialists along the eastern seaboard. Mr. Leonard currently serves on a number of insurance industry related Boards and Committees and also provides consulting services as an expert in the field of Workers’ Comp. He currently serves on the ACORD Board and is a member of its Executive and Compensation Committees. He is Director Emeritus of the American Society of Workers’ Compensation Professionals, Inc. and previously received the Legends award from AMCOMP for his leadership within the Workers’ Comp industry. 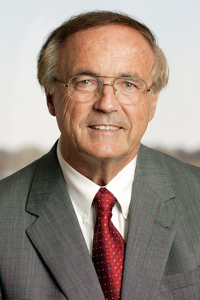 John was a member of the NCCI Board for two separate terms and served as the Board Chair from 2010-12. Recently, he completed service as a member of the National Workers Compensation Reinsurance Association where he served as Board Chair in 2015. He received the Distinguished Citizen Award from the Pine Tree Council of the Boy Scouts of America in 2001 and was elected to the Maine Business Hall of Fame in 2003. John has served on many local boards throughout New England that support education, health, children and the arts. Founded in 2000 by Donald T. DeCarlo, The American Society of Workers’ Compensation Professionals (AMCOMP) is a not-for-profit organization dedicated to professional and educational excellence in the field of workers’ compensation. Led by an experienced Board of Directors, AMCOMP was established due to the lack of a professional society that recognized and certified individuals in the highly specialized field of workers’ compensation. AMCOMP’s certified Workers’ Compensation Professional (WCP®) education program is a leading professional designation in the industry. Further, the WCP® is now offered in a flexible, online format. For additional information on the WCP® and AMCOMP membership, contact AMCOMP Executive Director, Thomas Shovlin, at thomas@amcomp.org or visit www.amcomp.org. Train and certify your staff with AMCOMP.